4x7 Custom refrigerator magnetic calendars 20 Mil Round Corners are sure to become asset to any type of goodwill building. 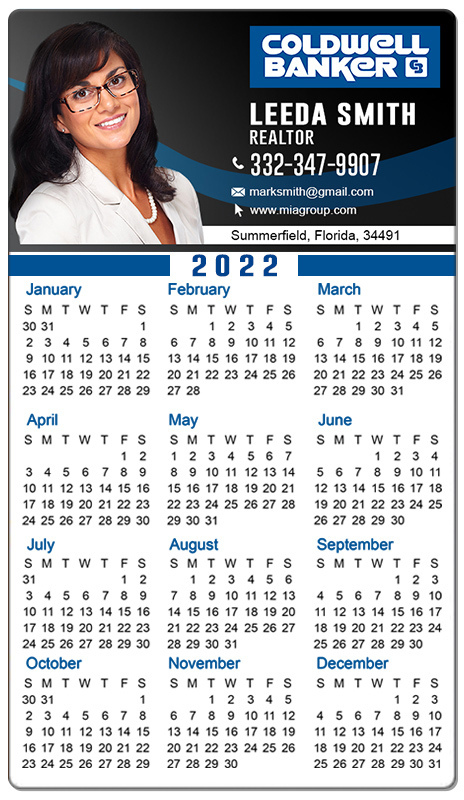 These custom printed magnetic calendars will buy you appreciation of your customers. Today, people find it easier to refer digital calendars, but they are also aware of its limitations. You can help them with these easy to fix personalized magnetic calendars that will stand out over refrigerator doors or cubicles. Order from us today to seal guaranteed low prices and free customization for your purchases on these custom magnets. Request a quote to know wholesale savings for these 4x7 custom printed calendar magnets 20 Mil square corners.